If you are an iOS 11 iPhone owner, you must have noticed HEIC already. With outstanding file storage size, it is convenient for you to save more images. To satisfy you, all captured images can preserve lossless quality. However, you are certainly confronted with trouble in converting HEIC images to GIF when your friends who use Andriod phones or older version iPhones (non-iOS 11 operating system) cannot view them. 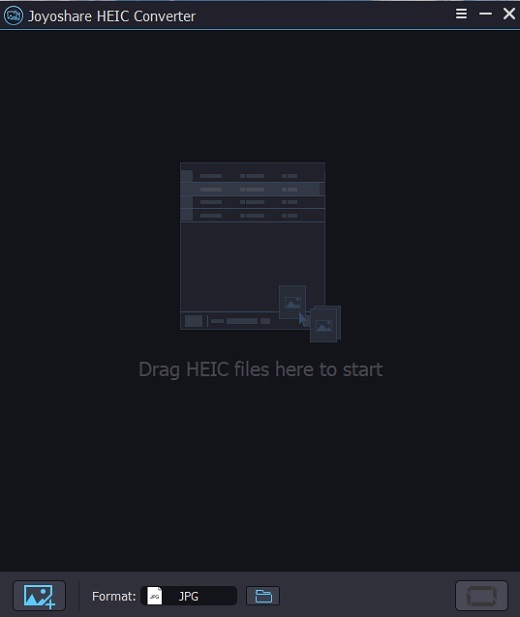 Here we provide you with two effective ways with the intention of converting HEIC to GIF with ease. Open one of your browsers and enter coolutils.com. 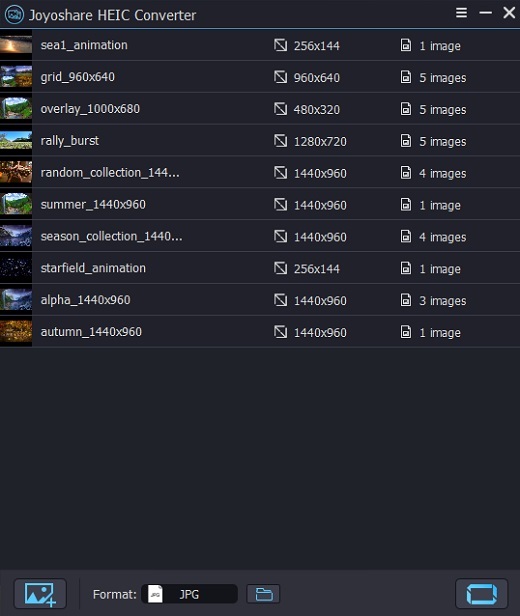 You can select file from your computer or from Google drive or from Dropbox and then these HEIC images will be uploaded to online converter automatically. Choose the format-GIF and you are allowed to resize and rotate it as long as you want to customize it. Click "Download converted file" and then it will start to convert HEIC image to GIF and accordingly store it in your local file. In case you think online converter is unsafe and will easily leak privacy information considering its online conversion and uploaded images, we here talk about a reliable offline converter-Joyoshare HEIC Converter. Compared with other offline converters, this small HEIC to GIF converter has been proved the most popular and excellent converting tool. As long as you have a trial experience, you will be fond of it undoubtedly. Similar to most converters, it can convert HEIC images to JPG. 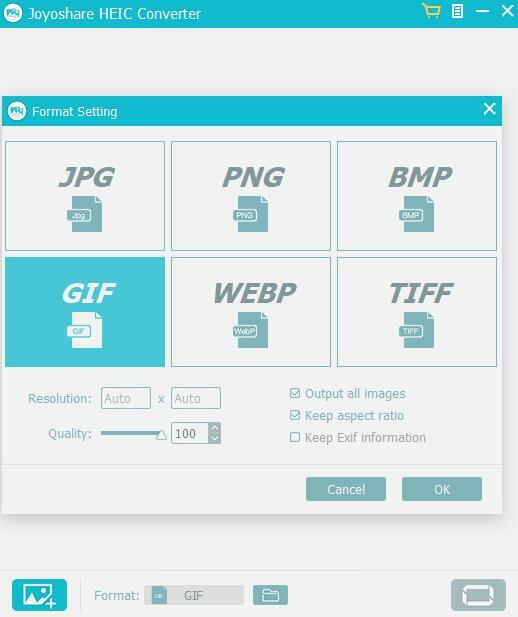 While different from others, it also support more output formats, for example, GIF, PNG, BMP, TIFF and WEBP. It can bring you the best experience in converting HEIC images. Not only can single HEIC image be converted at a time, but also it can help you to convert unlimited HEIC images in bulk. Before your conversion, you can customize the output format and setup related parameters. What is certain is that you will be shocked by it when you see destination files with original quality. Most important, it is unnecessary for you to worry about security problem because it can finish a series of steps offline and can save files locally instead of upload a cloud server. Make sure that all HEIC images needed are synced and transferred from your iDevice to computer in order to make preparation to add them to converter. Click "+" button on the left bottom to add HEIC images from local folders directly or drag and drop them into main interface quickly. Customize resolution and quality according to your own requirement. Besides, you can keep all EXIF information and output all HEIC images with aspect ratio kept. Click conversion button at the right bottom and then you can see GIF images from a popup window which saves converted photos locally.